An overwhelming majority of Americans who have jumped on the smart home bandwagon want voice-control features — particularly millennials and busy parents with active households. 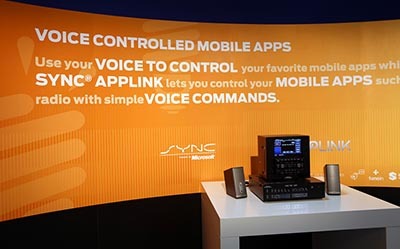 That’s according to a survey by Coldwell Banker and Vivint Smart Home released in conjunction with the annual Consumer Electronics Show, which found that 72 percent of those who have smart home products want to be able to control them using their voices. More than half of all millennials who have adopted smart home technologies already have some voice-control features, along with about two-thirds of those with children. Entertainment is the most popular use for voice control, cited by 57 percent of those who already use the technology and 43 percent of those who want it. Lighting and security control — and somewhat surprisingly shopping — were the next three most popular uses for voice control, each garnering 33 percent of the vote. It seems that Siri and other smartphone voice apps have planted the seeds in the American consciousness, with 74 percent of smart home adopters reporting using their phones’ voice-control functionality. By 2050, California will be home to 50 million people, but the big question is where all of them are going to live. Construction Dive reports that over the past 10 years, 80,000 new housing units have been built in the state — 100,000 less than needed to meet demand. That shortage has helped drive home prices out of reach for many Californians, with the state’s homeownership rate now the lowest since the 1940s. A lack of supply has also fueled rent prices, with about one-third of California residents spending more than half of their incomes on rent. Although the state’s Department of Housing and Community Development doesn’t expect any short-term solution to the problem, the article notes a couple of promising initiatives here in the Bay Area. San Francisco voters last year passed a ballot measure to double affordable-housing obligations for builders, while Facebook is funding affordable-housing programs in Silicon Valley. While the Golden State’s lack of affordable homes remains a long-term challenge, Bay Area renters can at least breathe a little easier as 2017 begins. As has all but become a foregone conclusion, San Francisco is still the most expensive city in the nation for tenants in January, with Zumper’s monthly rent report putting the median one-bedroom unit at $3,350. While prices in the city rose slightly from December, they are down 4 percent year over year. San Jose saw rents drop 1.4 percent on both a monthly and annual basis, with the average one-bedroom fetching $2,170, making it the nation’s fourth most expensive rental market. Oakland dropped to the No. 5 spot, as one-bedroom prices fell to $2,090, down about 5 percent month over month and year over year. Mortgage rates declined for the first time in more than two months in the first week of 2017, but the higher rates that have occurred in the wake of the U.S. presidential election are already showing their effects. According to Freddie Mac’s latest weekly market survey, 30-year, fixed rate mortgages averaged 4.20 percent for the week ended Jan. 5, down from 4.32 percent the previous week. Fifteen-year, fixed-rate mortgages averaged 3.44 percent, also down from the final week of 2016.